For media/press inquiries, click the link to our Press Kit which contains brief overview, detailed overview, a radio interview with our co-founder Kathy Walkling, FAQ and a folder of photos that may be used in articles. 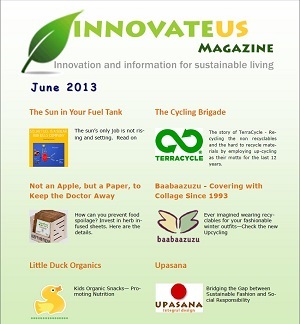 Below you can see a compilation of news articles that have featured Eco Femme over the years. Govt May Rationalise Its GST on Sanitary Pads, But Is It Logical? We are going through interesting times, most of which revolve around some kind of revolution. Sometimes we stop and notice and at other times we just give it a pass. 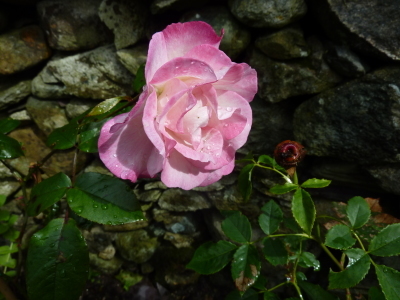 Mostly, we give it a pass if it is not something immediate, intimate and interfering. But how about something as regular or as painstakingly punctual as menstruation? How about the 12% tax imposition on sanitary pads under the revolutionary GST era? Every 28 days, millions of girls and women in developing countries miss school or work – up to 50 days per year – because they lack access to affordable menstrual products. And, it’s not just a problem in poor countries. 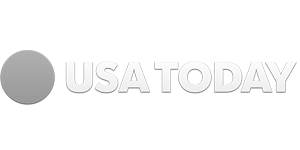 Right here in the United States, women and girls who lack means often need both menstrual health education and reusable menstrual products. Here are ways you can help them on their missions to provide women and girls with products that simply make their lives easier.There are many businesses and organizations out there doing great menstrual health work. As we discover more of them we’ll add them below because many give back to various regions of the world. VISAKHAPATNAM: Girl students from the tribal villages in Araku are not aware of Women’s Day. But as women, they too want to make a difference and do their bit for the environment. And how? These students are promoting the use of eco-friendly reusable cloth pads instead of the usual sanitary napkins to reduce the number of sanitary pads going into garbage landfill by February 2018. 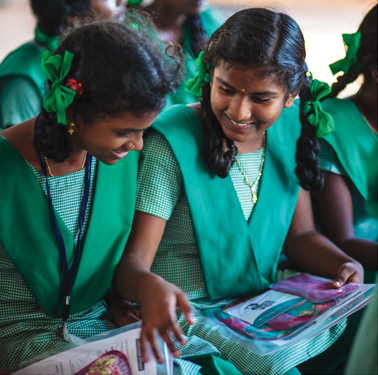 The students also plan to educate their urban counterparts when they visit Araku about the importance of using these reusable pads. 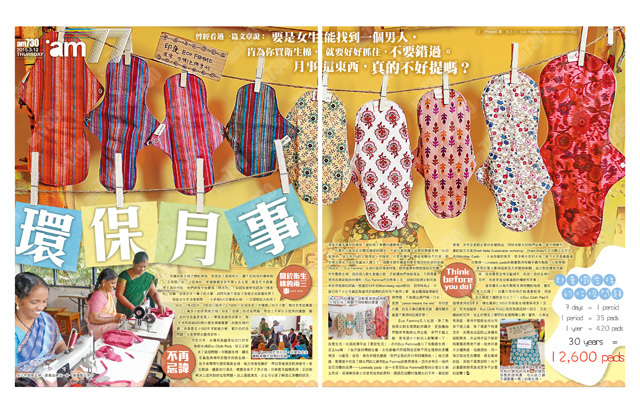 Called Pad4Pad programme, the cloth kit can be used for almost two years. 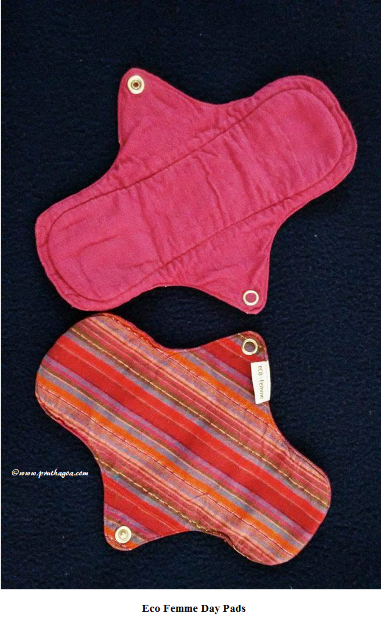 Donated free of cost by Auroville in Puducherry, each kit of ‘Ecofemme’ consists of four reusable cloth pads in a special bag. 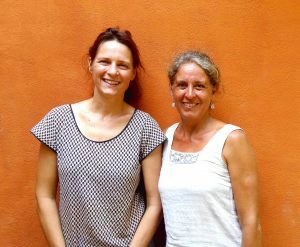 During a visit to Auroville, India a couple of days ago I was happy to have the opportunity to chat briefly with Eco Femme co-founder Kathy Walkling in between customers at their busy stall at the market. 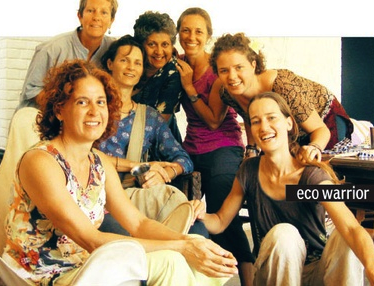 I had already heard about Eco Femme before I came to India and I was exited to meet the people behind it in real life. I wanted to get to know more about their important work on raising awareness of menstrual hygiene and sustainability among rural women in the state of Tamil Nadu. A revolution in the world of sanitation, period! 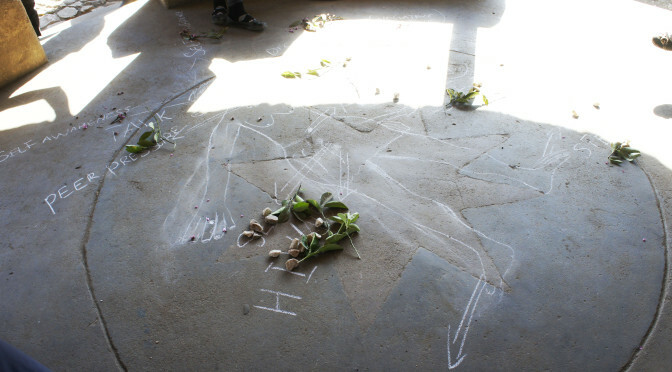 CHENNAI: Menstruation and hygiene have been issues that women have been concerned about for ages. 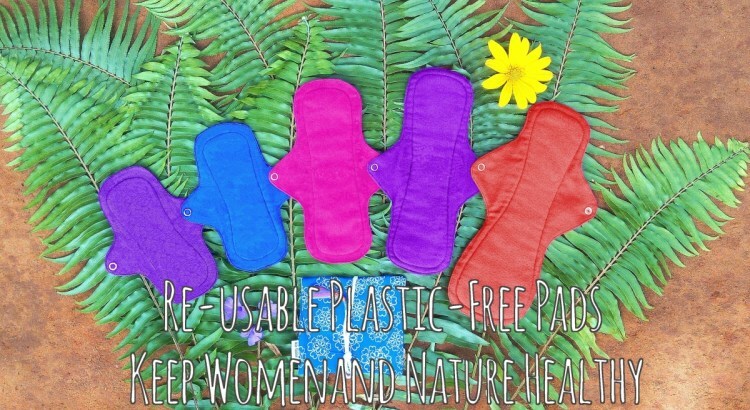 While the market is filled with disposable sanitary napkins (gel-based pads), environmental activists claim that a single disposable pad can take 500-800 years to decompose. 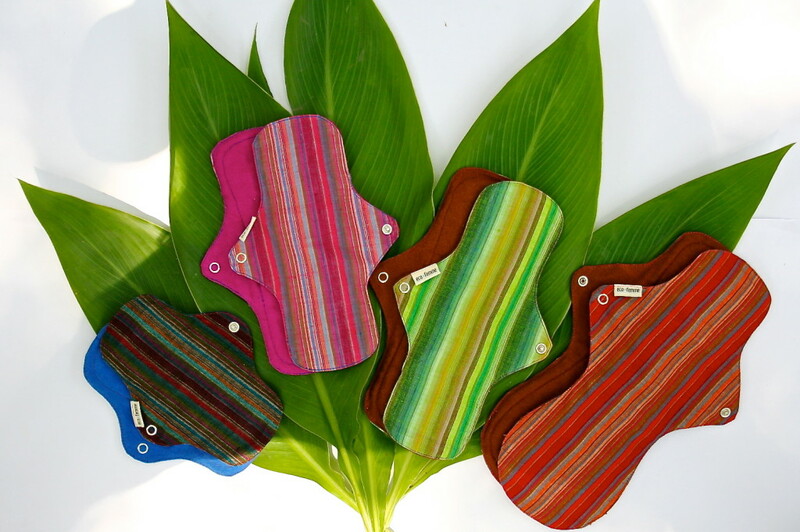 If you’re one of those people who wants to create a sustainable environment, but haven’t been able to think of an alternative, here’s your blessing – cloth pads by Eco Femme! One of the most shocking statistics I’ve come across when researching for this campaign is that 88% of girls in India use unsafe methods to manage their periods. 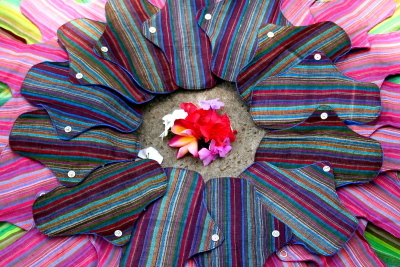 The most common method is reusable old cloth, but women also resort to ashes, newspaper, dried leaves and husk to try and deal with menstruation. It’s so hard to even imagine how difficult something like that would be to deal with, combined with the immense stigma present regarding menstruation , which we have covered a little on the blog. That’s where a brand like Eco Femme comes in. While explaining how the compost pot works at our store. I convince many people on the importance of segregation. The majority 60 percent of our waste at home can be composted and the remaining plastic and paper waste can be sent for recycling. There is a sense of achievement when we feel that we have contributed very little to the landfill. But what about used sanitary pads or diapers? Where do they go? Once a month even the most eco sensitive, khambha-using, plastic recycling women, contribute at least 6-8 (mostly gel-based) disposable sanitary pads to the land fill. A single sanitary pad takes close to 500-800 years to decompose. Worse still, maybe your favorite street dog that you feed biscuits to everyday might be biting into a disposed pad or a rag picker that you notice everyday down your street might be handling it with his bare hands. For ages the guilt of adding to Goa’s garbage problem was gnawing at my conscience. I was segregating the other waste, but when it came to soiled menstrual pads, I was at a loss for a solution. Somebody suggested incinerating them; however, this would only contribute to air pollution. 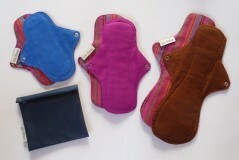 Finally I chanced on a Facebook post by a friend about Eco Femme cloth pads. My curiosity piqued, I followed the link to find the answer to my dilemma. 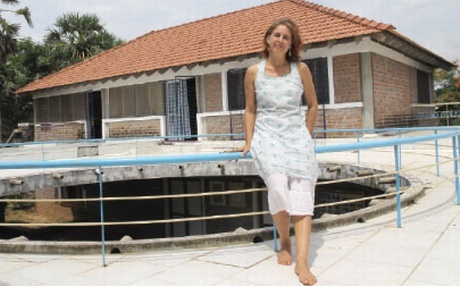 Eco Femme came into being in 2010 at Auroville, Tamil Nadu, through the co-operation of Kathy Walkling of Australia and Jessamijn Miedema of Netherlands. 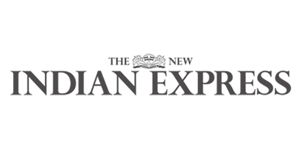 The two women were single-minded in their motivation to empower women and work towards reducing the amount of sanitary waste that is ecologically a serious threat and aesthetically an eyesore in India. 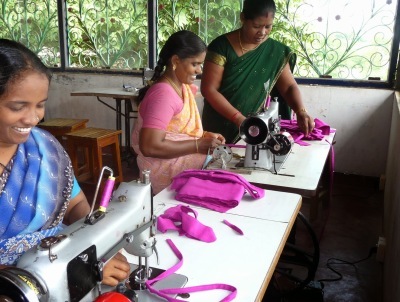 The Auroville Village Action Group, an NGO which functions as a women’s self-help group, provided the woman power needed to tailor Eco Femme products. Ladies, perhaps you have wondered what happens to the non-biodegradable menstrual products we use every month. 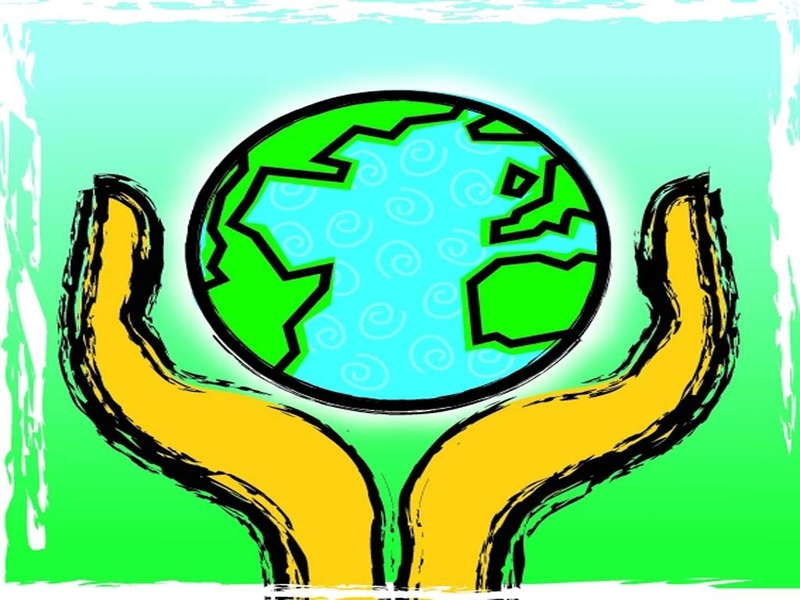 Many of us might have had an inkling that it isn’t good for the environment. Despite this, we continue to use the products, believing that there isn’t another way, or, in some cases, knowing that there are alternatives but being too afraid to try them. 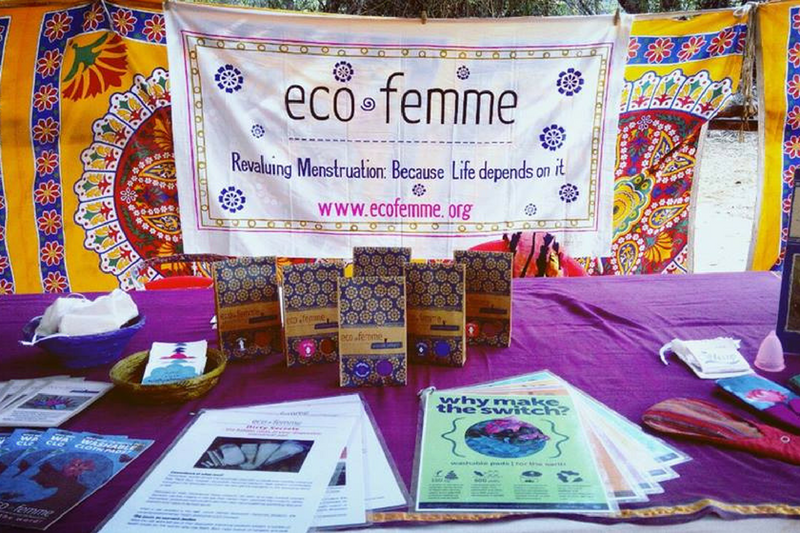 Eco Femme, located in Auroville, South India is a growing social enterprise that designs and stitches washable cotton pads, sells menstrual silicone cups, and conducts menstrual educational seminars for women, children and societies across rural India. 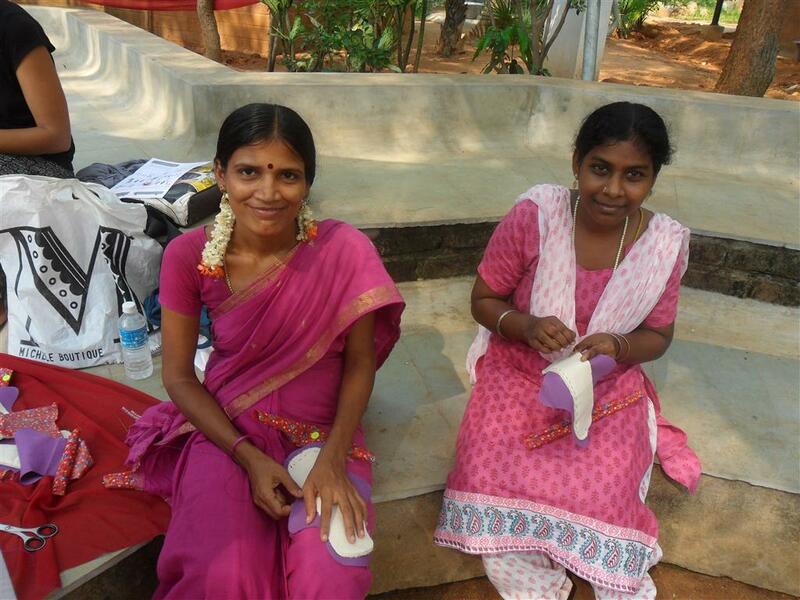 They provide a livelihood for 10 rural women in Auroville, who stitch the Eco Femme cotton pads. The IPF spoke to Laura O’Connell, Eco Femme’s Communications Officer, who told us about the various projects Eco Femme has been a part of since its establishment in 2010. The vast majority of women in India don’t use sanitary products, instead relying on everything from cow dung and newspapers when it comes to that time of the month. 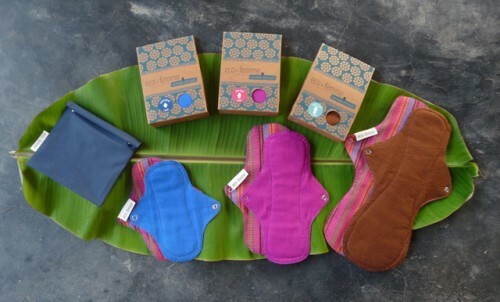 But local entrepreneurs are determined to change that with reusable pads, menstrual cups, and pad-producing machines. But as night falls, and she’s left alone with her thoughts, Paravi’s enthusiasm turns to anxiety. Because Paravi hides a dark and terrible secret—one so shameful it keeps her up at night and stops her from leaving the house. 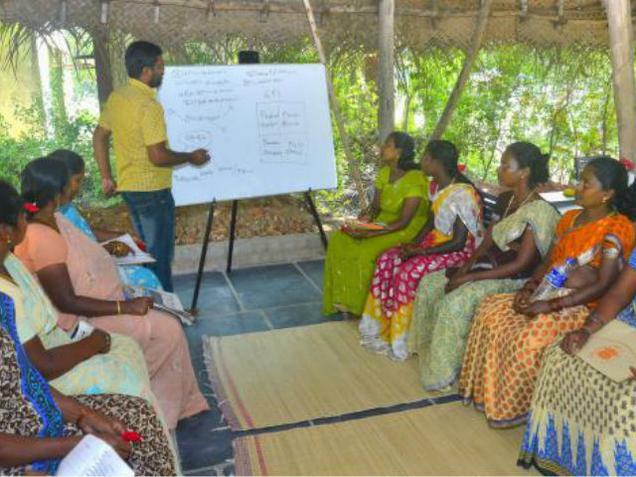 While women self-help groups in Tamil Nadu have been engaged in the production of low-cost sanitary napkins for some time now, a new proposal looks to rope in expertise from Auroville to get SHGs to produce an eco-positive and healthy alternative. 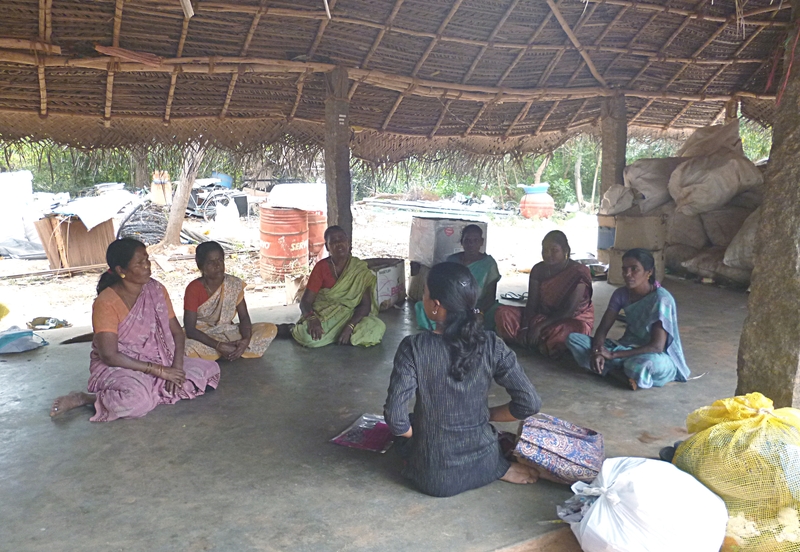 At the forefront of this effort is the Sustainable Livelihood Institute (SLI) at Auroville, a joint initiative of the Tamil Nadu Rural Livelihood Mission and Auroville Foundation, which was set up in March this year. 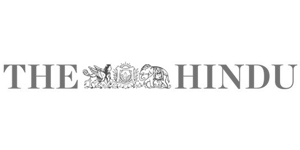 Eco Femme plans to amplify its international sales base, as well as, launch an organic cotton range of washable cloth pads and baby diapers for India and abroad. In the words of a famous muppet, it ain’t easy being green. Walk into a local department store and one’s likely to be surrounded by products that prioritise disposability and convenience over the environment.  Bangalore-based Megha Kumar and Mumbaikar Hamsa Iyer no longer buy TV’s sanitary pad pitch. 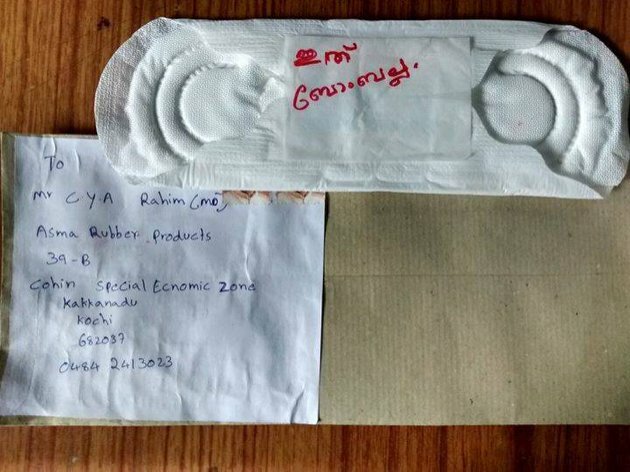 When the flood comes, the 35-year-old Kumar, a French teacher, pulls out a box of washable cloth pads, and Iyer, a 25-year-old researcher, reaches for her menstrual cup – a small bell-shaped silicone object that collects the discharge. Iyer proudly says she hasn’t generated menstrual waste in two years. In the last year I have slowly changed from using brand-name products for cleaning my house, clothes, and myself to naturally and locally made Indian products and I couldn’t be more impressed. From soapnuts for washing my clothes and dishes to neem leaves to guard my clothes from moths, I’ve found that most traditional methods of caring for oneself and one’s home are superior to those I’ve grown accustomed to in the West. These are just some of the beliefs that millions of Indian girls grapple with when it comes to their menstrual cycles — a problem fueling both unsanitary conditions and social setbacks for women here. Why are we pretending that there isn’t a growing mountain of menstrual waste we need to deal with? 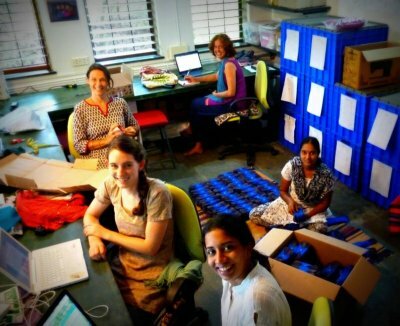 This Auroville-based company makes reusable sanitary napkins from cloth which are both environment-friendly and cheaper. 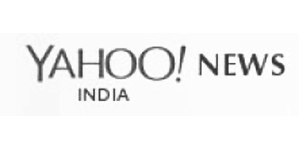 Narendra Modi has reached out far and wide to get his Clean India campaign off the ground. From industrialist Anil Ambani to former cricketer Sachin Tendulkar, the prime minister has called out to prominent Indians—on social media and elsewhere—to galvanize support for the mission, which aims to spruce up India within five years. Even Modi’s cabinet ministers have taken to sweeping the streets lately, making for perfect photo ops. 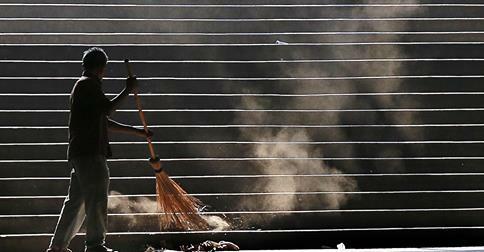 But the much harder work of actually cleaning India is more than just wielding a broom. 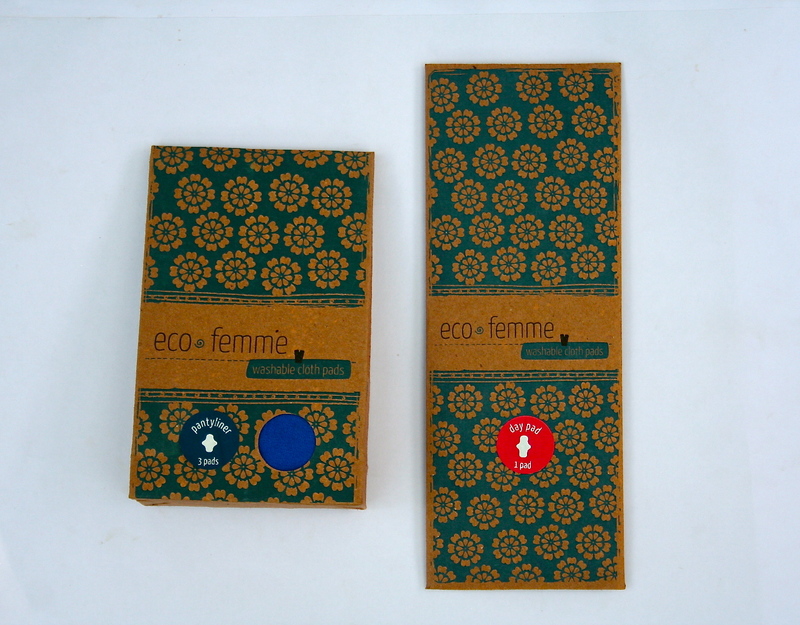 Eco Femme is a women’s empowerment project which has risen from rural India and is reaching the world via the Auroville Village Action Group and the Gift a Pad Program. 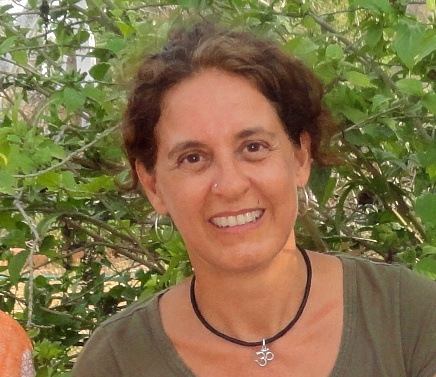 Kathy Walking is the Co-Founder of Ecofemme-org which formed in 2009. 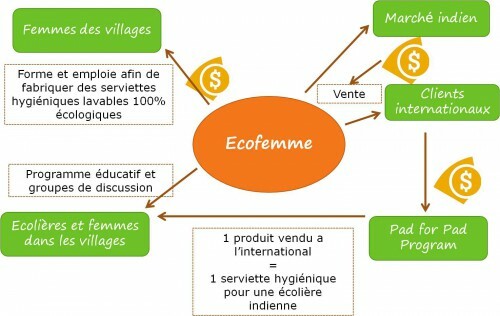 Ecofemme, des serviettes hygiéniques lavables, sociales et écologiques! Personal hygiene. Health risks. Choking rivers. 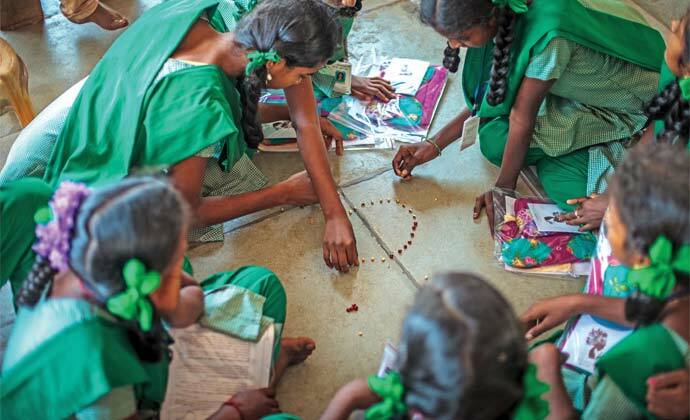 The connecting factor — menstruation — is a social concern, says Usha Rai. A small group of NGOs working on health issues and calling themselves Bejhijhak (which means ‘without hesitation’ or inhibitions) got together in the Capital recently for starting a dialogue on menstruation, breaking the various myths and taboos around the issue and improving menstrual education, management and hygiene. School children set the mood for the discussions by performing street plays on those unspeakable five days. 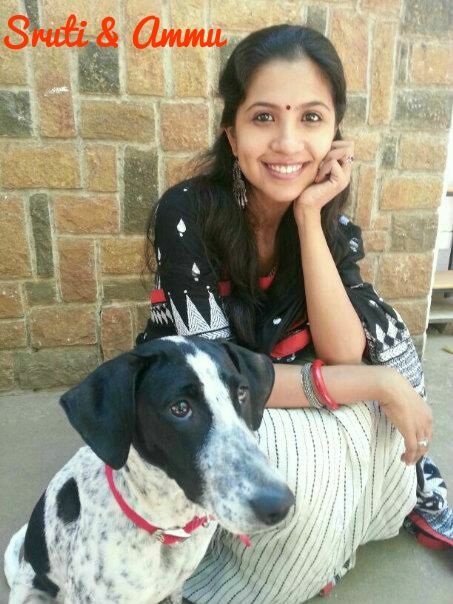 But an interesting opportunity came my way when I spoke to Sruti Hari. Sruti is one half of the creative team that runs Ashvita – an art gallery, a series of cafes and retail stores focusing on all kinds of interesting products. 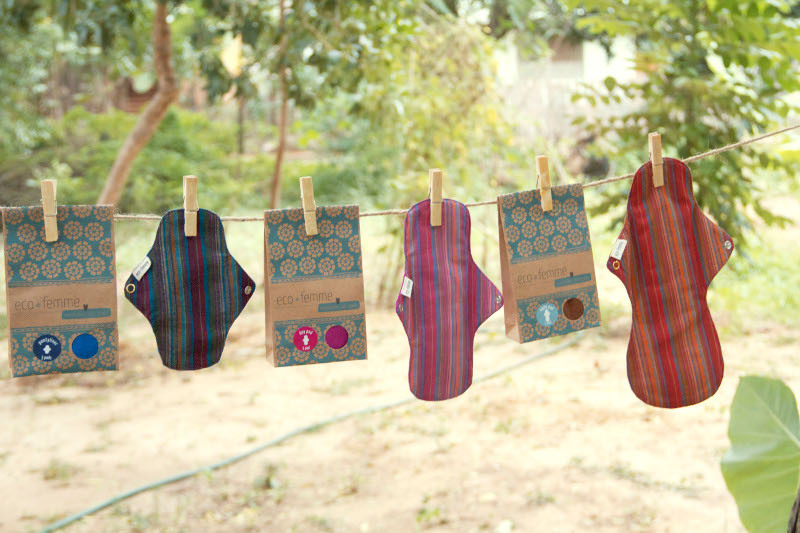 I first experienced reusable sanitary napkins in 2012. We were new parents keen on raising a green, sustainable baby. Somewhere in the middle of the night when I was flushing poop out of a reusable cloth diaper and congratulating myself on the disposable diaper I had just saved, I asked myself why I could not make the shift myself to reusable cloth pads.It certainly had to be easier to adopt compared to a cloth diaper, I figured. We often associate tradition with things that are out of fashion. Often, in that long list of things we tag useless or meaningless, we lose sight of logical and thoughtful ways of living. If we look around us, we see that there are piles of garbage on every street – heaps of filth and dirt, several people defecating out in the open. Half of the world menstruates – at some point of time. Yet nobody talks about it. Menstruation and menstrual hygiene are issues that concern women all over the world; yet the subject is almost always relegated to whispers. 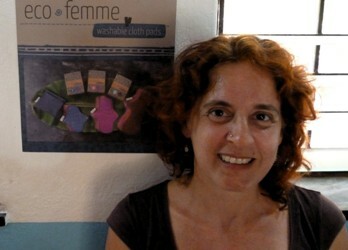 This is something which the first ever World Menstrual Hygiene Day, observed worldwide on Wednesday, hopes to change. 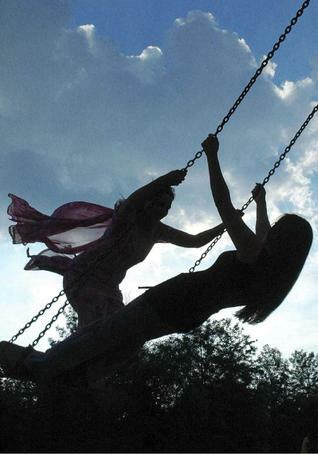 Menstruation is one thing which almost every woman has to deal with. Every month. Many Indian women still use scrap cloth from old saris and towels, the traditional method for managing menstruation for thousands of years. On average, a single woman generates 125kg of sanitary waste during her menstruating years when she uses disposable sanitary products. This is avoidable waste. 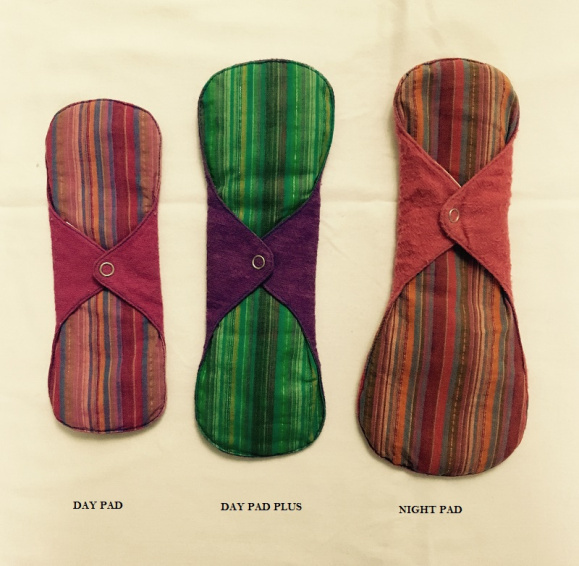 You may brush off Kathy Walkling’s suggestion of using a cloth pad instantly. But if you give it some thought, you will realise that she does have a point. And a good one too. It takes over 500 years for a single disposable sanitary pad to decompose. And how many does a woman use in a month and in a year? Do the math. 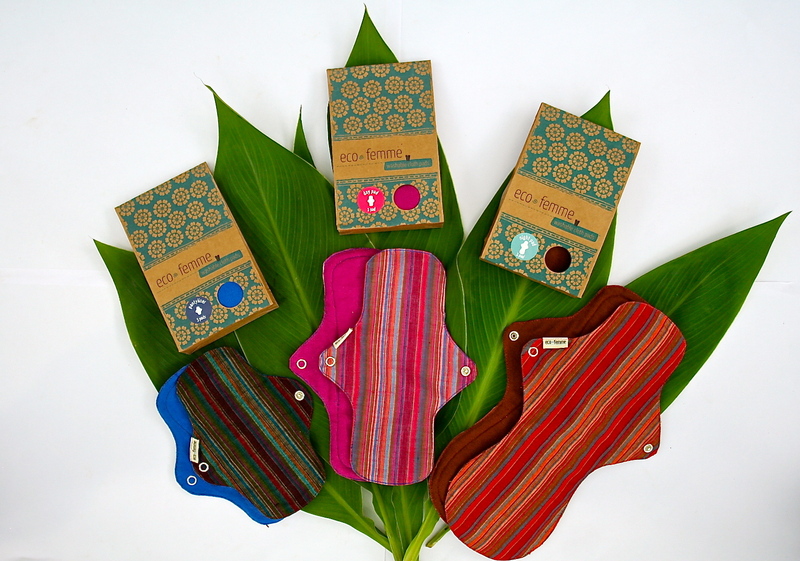 One of the first brands of cloth pads that really caught my eyes is Eco Femme. I’ve always loved that sort of exotic Indian fabrics that remind me those seventies hippie style boho tunics, kaftans and fair trade Indian bags, well the Eco Femme pads are made of beautiful Indian fabrics and soon as I saw them on-line I liked them straight away. 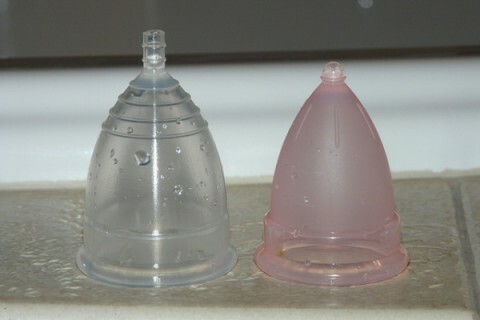 My last article, Menstrual Cups: time to reduce that monthly plastic? 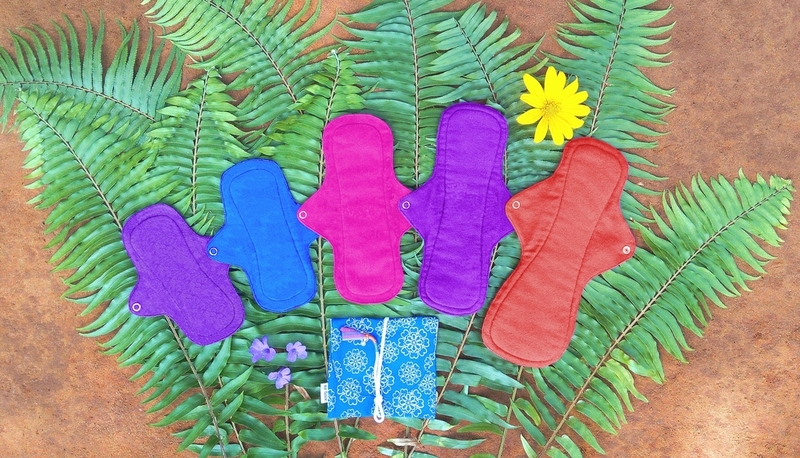 on eco-friendly menstruation options received a tremendous response, not only from ladies, but also from several guys who told me that they referred the article to their sisters and wives. Even today I receive frequent emails asking me questions about menstrual cups and pad. I have been overwhelmed by the enthusiasm of people towards such options. 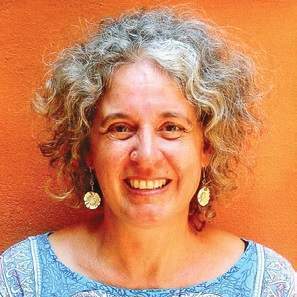 Kathy Walkling, an ardent advocate and maker of washable cloth pads, gives you the statistics first to make you understand the gravity of the problem she is trying to address. 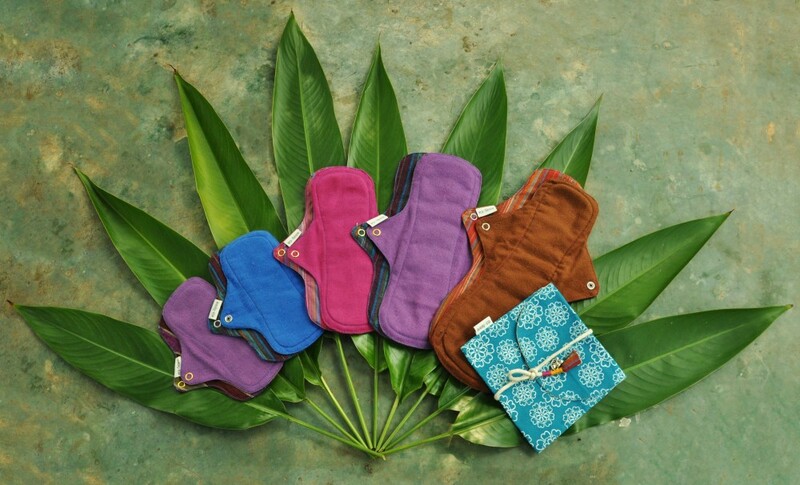 An average woman uses 10 sanitary pads a month during her menstruating years. 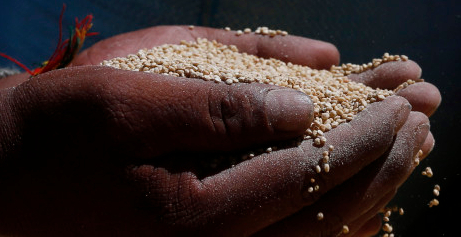 In a span of about 35-40 menstrual years, she accumulates about 125 kilos of soiled pads. 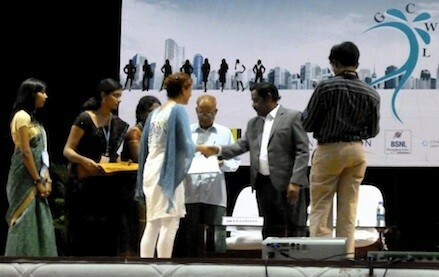 Eco Femme received an award for “genuinely creating a transforming impact on the lives of Indian women”! Solution to a ‘Natural Problem’? Menstrual Cups: time to reduce that monthly plastic?